Can You Visit? If you want to go to Spain, sure, I bet Lauren would say hello! Other Random Facts: Lauren started a private Facebook group for people in the chocolate industry that is now one of the most used and popular groups around. 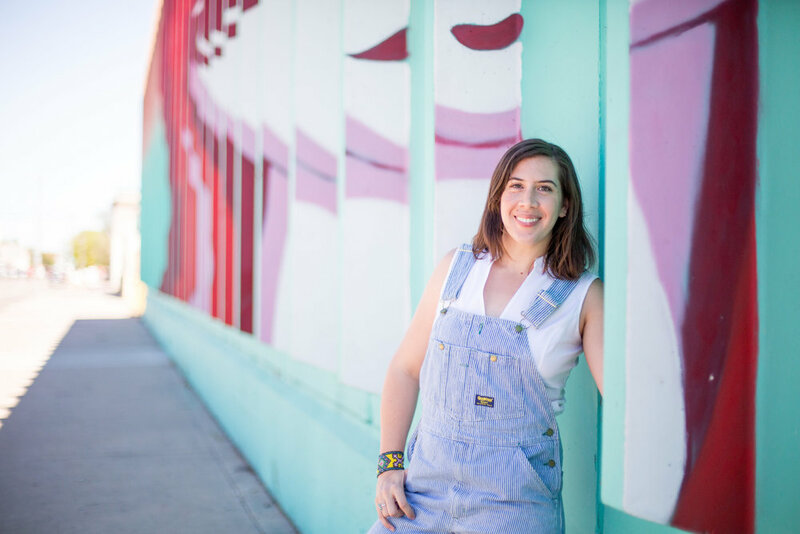 She’s also the co-founder of the Mujeres Milagros retreat for women in chocolate. Lauren: Before uncovering the facts and mysteries of cacao's role in history and pop culture, chocolate was my personal salve — still is, honestly. I grew up as a latchkey kid. Afternoons at home consisted of chocolate chip cookies in the toaster oven; they became my ultimate comfort food. Chocolate has always helped assuage the pain of unfortunate news, discomfort, or uncertainty. Now that I am able to partake of it in more joyous and social moments, as well as understand its benefits, the importance to civilization, and its myriad cultural roots literally replanted in various sites around the planet, it feels like incredible kismet to make chocolate and have the great fortune to soothe and delight others via resolute dedication to craft, creativity, and provenance. Megan: Do you think of yourself as a Woman (capital “W”) in the chocolate industry? Why or why not? And if yes, what does it mean to be a Woman in chocolate? Lauren: Emphatically yes. I do consider myself and identify as a Woman and Woman in Chocolate. That said, I don't want to be judged for being so. 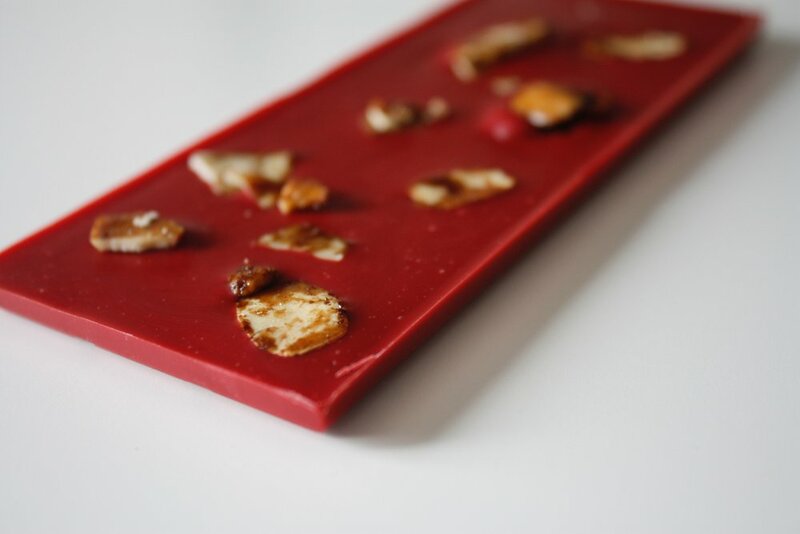 E.g., if the awards categories are nominating “best maker of the year,” I wouldn't hope to see a category for “best female chocolate maker.” We are asking for parity and to be recognized for our impact and efforts, not to be fetishized. When I set out to launch WKND Chocolate, I knew within my heart of hearts that women would be integral to my own success (and sanity), both as peers and customers, and that in general there was a need to shift the status quo. A quick and unfavorable Google search for “women in chocolate” ruined my temper. On Instagram there were two posts containing the #womeninchocolate hashtag, one of them not genuine. All of this (and more, of course) propelled me to develop the Well Tempered podcast and initiate the community to utilize the hashtag/identity as our own. Since then, more than 3,000 posts around the world are proudly tagged and connecting us to one another. Lauren: I fantasize about being enough in control (and at ease) that I will awake to my clean home, stretch, and enjoy a tea while reading for the first hours of the day. Ninety-nine percent of the time, it's making breakfast for myself and my husband, checking my phone, marking/prioritizing emails, listening to podcasts, cooking/baking/making, and what feels like a constant purgatory of dishes. Lauren: I adore perusing restaurant menus and cookbooks from all corners of the globe. I look for ingredients in savory items that might mesh with chocolate. Sweets inspire as well, but I like to tone down the sugar level in my recipes, balance the salt, add dashes of acidity and/or umami. Spices also offer an incredible kaleidoscope of possibilities. Admittedly, I watch a fair amount of cooking shows as well; maybe they're in Parma visiting Parmigiano-Reggiano production facilities, and my brain goes, "Could I somehow put cheese in chocolate?" or "What would go with with that....a white chocolate base with black pepper?" Well, I'll get back to you on that. Lauren: There is ALWAYS going to be someone that doesn't believe in you, that wants to bring you down. Don't allow that someone to be you. You will always need you. Megan: Why do you think women are associated so strongly with chocolate? Lauren: I think in this era we're conditioned to associate our bodies' ebbs and flows with chocolate consumption. At least in my life experience, I have experiences of others telling me that I am or was craving chocolate because of a biological event. However, I believe in their core, women have a deeper connection to cacao that goes back much further. 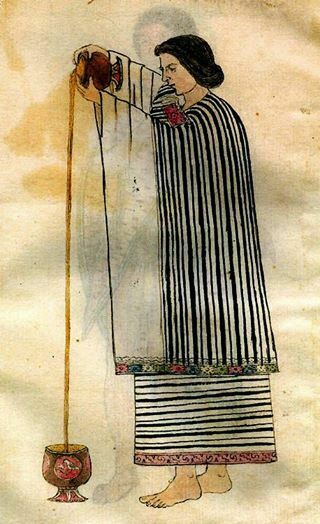 When we look at images and read translations from Mesoamerican glyphs and Spanish texts, there are women omnipresent in the preparation, serving, pouring/frothing, and reverence of the cacao tree and cacao beverages (thank gosh for historians like your past WIC Q&A featuring Maricel Presilla!). In modern times, we have many advertising campaigns that remind us yet again of our brazen relationship with chocolate, rarely there is an artistic touch, often a crazed perception. As with most examples involving shedding stereotypes, female-identifying individuals need to be present at the brand meetings and copy editing sessions for the present and future, taking part in future campaigns (or their own social channels) with their own voice, not invented versions marketed for another entity's or multinational's benefit. Megan: Why do you think there aren’t as many women making chocolate as men? I'm confident with the current hockey stick growth of craft bean-to-bar chocolate and its reverberation on the international pastry scene, numerous more locally focused microbatch businesses, equipment sharing, and brand collaborations — also led by women — will come into being. On the other end of that, not everyone needs to be making chocolate. The act of stewarding fine chocolate, educating on the subject, and supporting others to their highest potential is a role that anyone and everyone can take part in....although I have a feeling tons of women will be there leading the way in those capacities as well. Lauren: M.F.K. Fischer — whom I admire — said, "I like men very much, but I think men are less interesting than women, in general." Loads of women light up my world and influence me to contemplate life, such as Krista Tippett, Stevie Nicks, Maria Popova, and Toni Morrison. Also deeply grateful for women in chocolate, from cacao seedling to chocolate cake. 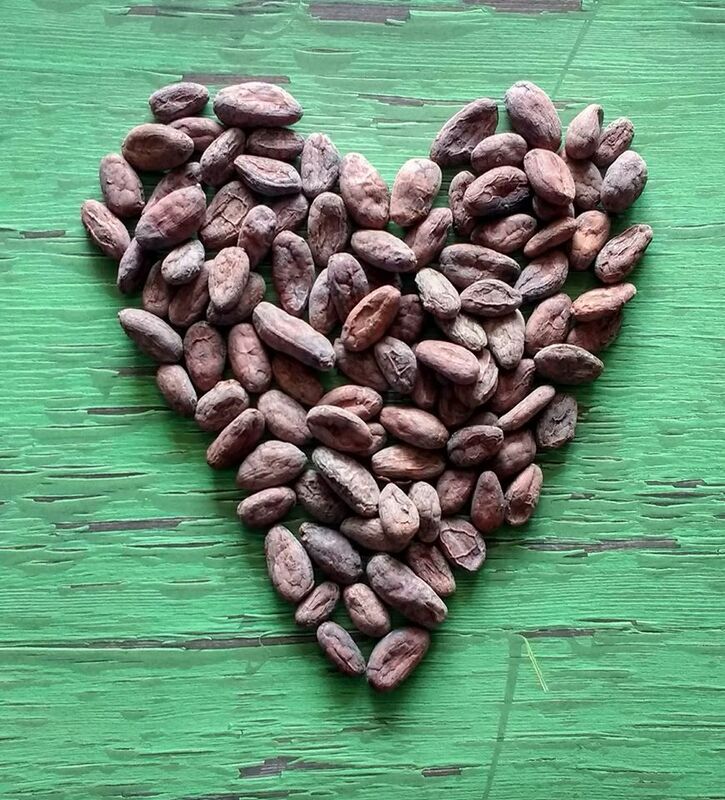 We are ultimately the change makers who hold the keys to what chocolate has the potential to be, because it will be what we demand for our planet, ourselves, our businesses, our families, and our communities. Sign up to get chocolatey emails delivered straight to your inbox!